Polyester bees are a diverse group of solitary ground nesting bees represented by over 100 North America species. 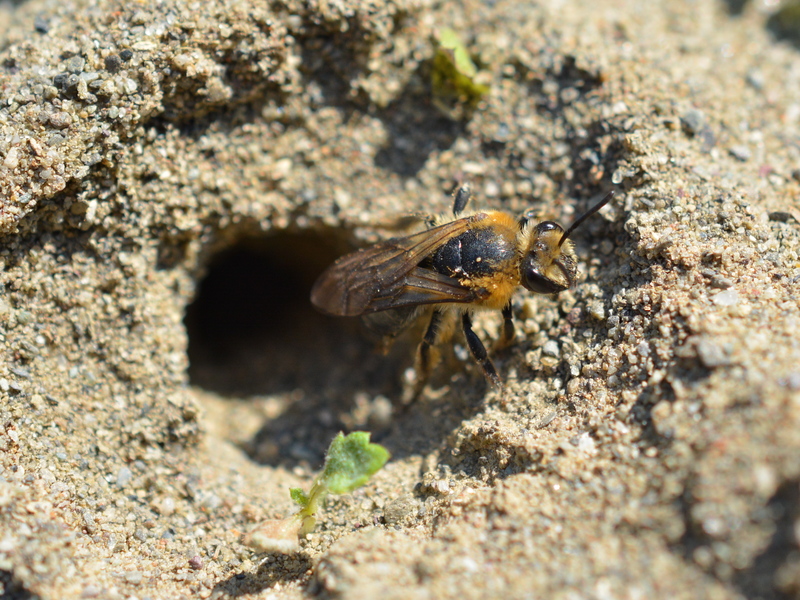 They resemble and share a similar lifestyle to mining bees and some sweat bees. Collete thoracicus exiting nesting chamber are specialist of tulip poplar flowers. The females will often nest in large aggregations making shallow brood cells only 4 to 6 inches deep. These bees line their brood cells with completely waterproof cellophane-like substance allowing them to nest in very wet areas. This material has been studied as a natural plastic substitute that can decompose in as little as five years. The polyester bee provisions her eggs with a liquid form of nectar and pollen. 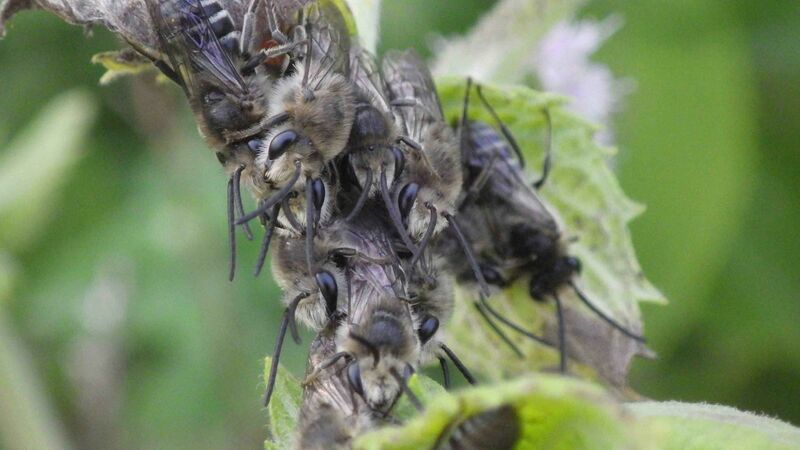 Colletes latitarsis (Borad-footed cellophane bee) is a specialist of plants in the Pyhsaylis family which included tomatillo’s. I would like to use the photo of this bee in presentations and articles on polyester (and other mining bees). To whom should I give photo credit? HI Marjorie. Please feel free to use the photo and give credit to Tim Stanley, Native Beeology.